Besides the original music written by Nicola Piovani, Michel Herr was asked to work on the additional music used in the movie, re-orchestrations of songs by Joséphine Baker. On the CD, only one track illustrates that work as an arranger/orchestrator : Chiquita Madame. Michel Herr re-recorded in the studio a meticulous reconstruction of the original arrangement, which was then dubbed over the original recording of Joséphine Baker. 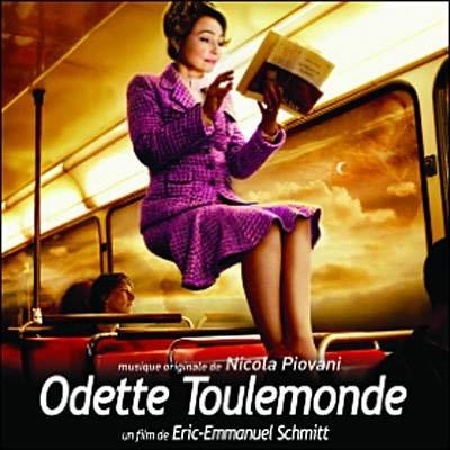 The original soundtrack of the movie Odette Toulemonde (2007), by writer and film director Eric-Emmanuel Schmitt. Recorded in August 2006 at Caraïbes studio, Brussels. Released in 2007. CD (Milan Records/Universal 399 101-2).